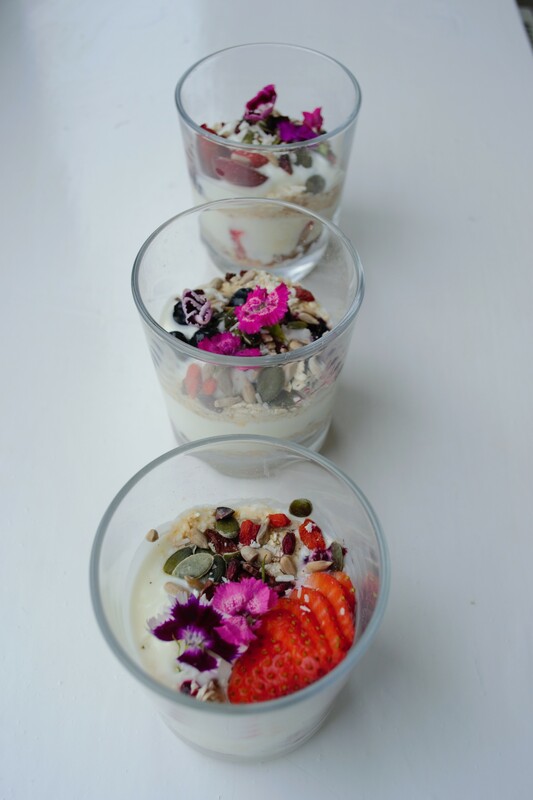 Why not start your day off with these delicious morning joy pots! Simple and ready in under five minutes. 1. Wash all fruit well. 2. 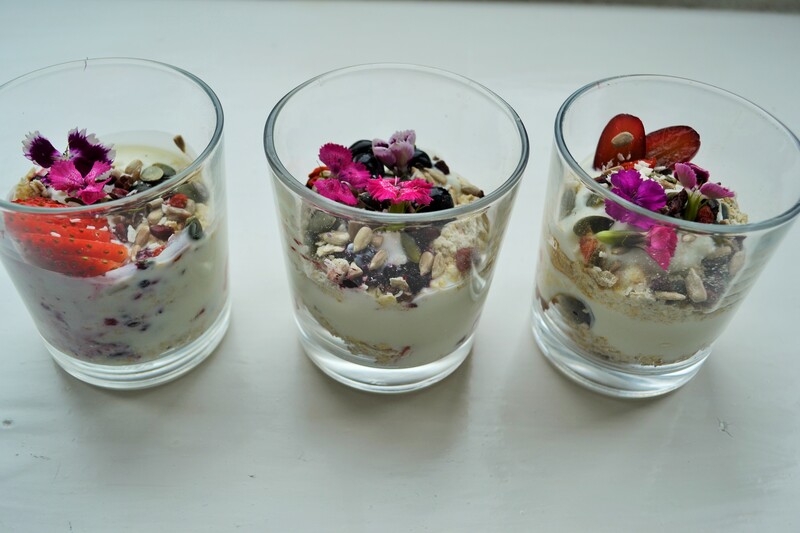 Begin layering the pots by placing some oats at the bottom of the glass, with some sunflower seeds and goji berries. Dust a small amount of the cinnamon along the bottom. 3. Chop the grapes into small chunks along with a few blueberries. Place a small amount in each, and again a small dusting of cinnamon and seeds. 4. Pour a tablespoon yogurt on top and add the blackberries. Again, you can add another layer of oats and the dry mixture, followed by fruit. 5. Sprinkle the fresh flowers on top with the rest of the fruit and serve.